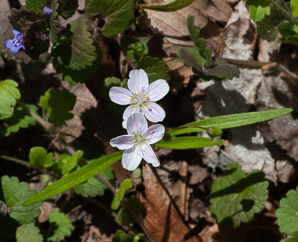 Virginia spring beauty is native to North America. 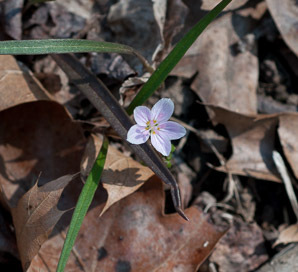 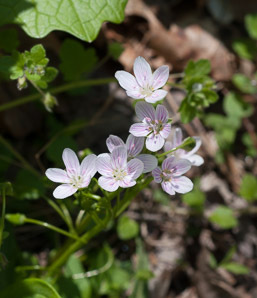 Identification: Plants are a mere 3-9" (7.6-22 cm) tall, poking hopefully out of the forest litter in the spring. Leaves are narrow and grasslike in shape, technically linear to lanceolate. 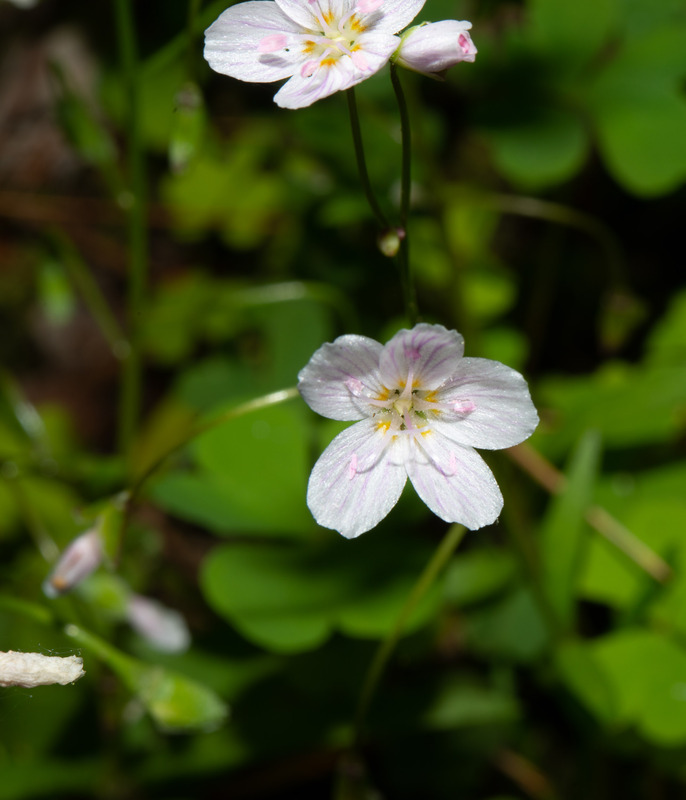 They have more of a leathery texture, but at a size of about 1½" (3.8 cm) × ¼" (6.3 mm), they are easy to miss. Stems support a few flowers, each about ½" (1.3 cm) around, drooping when the flowers are closed. Each white flower has five rounded petals, and beautiful pink veins, though sometimes the veins are very faint. 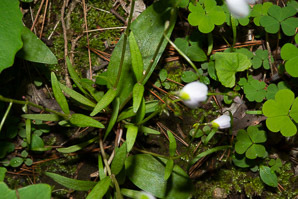 Blooms appear in April. Edibility: The tubers, roots that resemble small potatoes, are up to 8" (20 cm) in diameter. 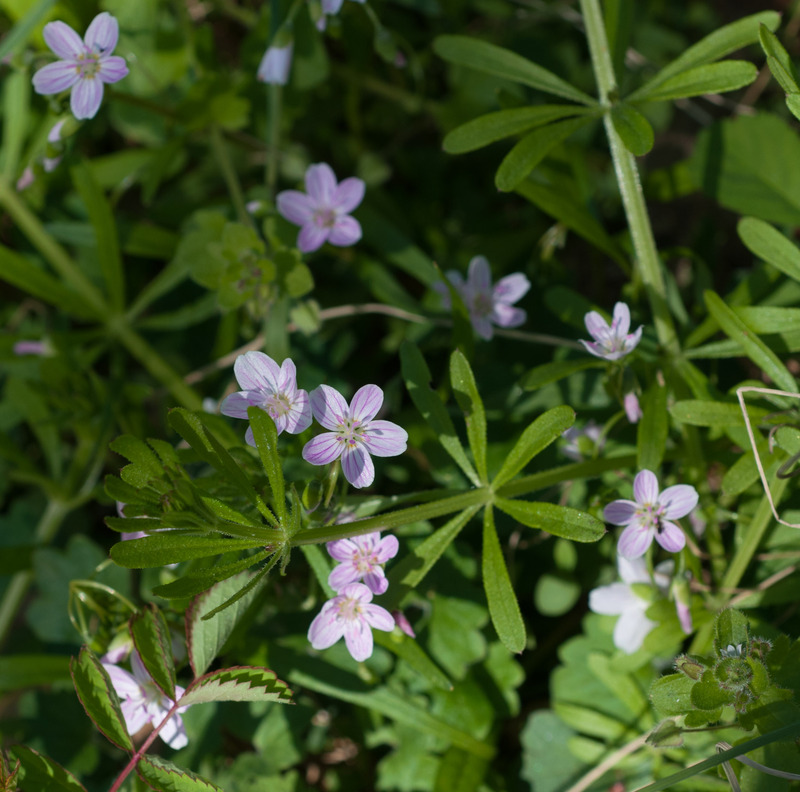 Their flavor is variously described as nutty, radish-like when raw, or like a potato and a chestnut when cooked (see Plants for a Future). 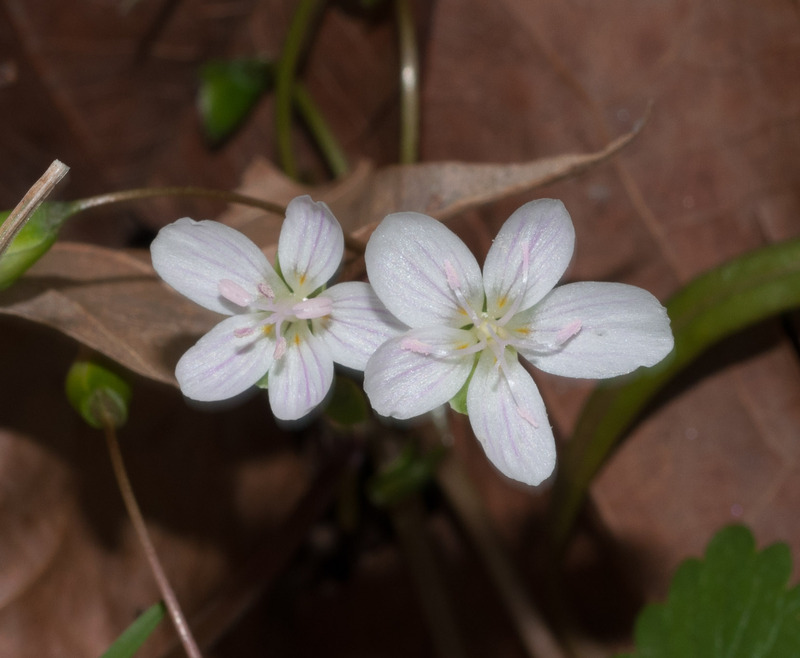 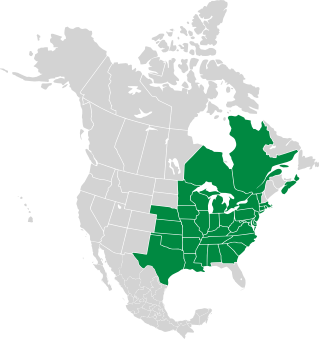 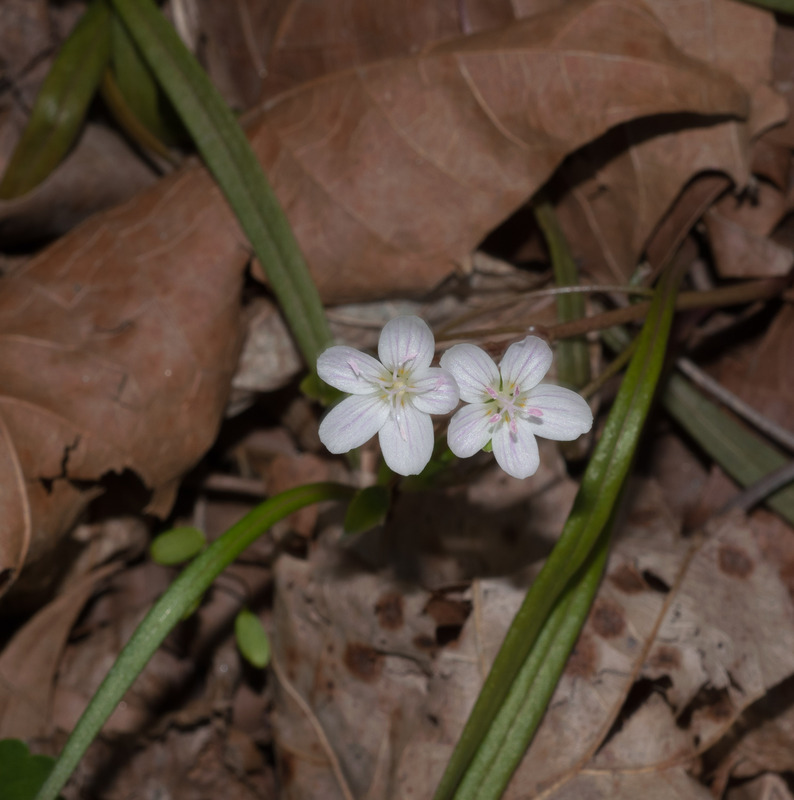 Claytonia virginica description by Thomas H. Kent, last updated 2 Jan 2019.